This will be my fifth time riding in the Ride To Conquer Cancer and this year my plan was to self-fund the required donations — then enjoy the two day ride for a good cause without really bothering anyone. That was until I happened to read a sign and remembered something very important about having a voice. As a result, I sent out my traditional "please donate to my cause" email (and I suppose decided to write this post). "This year will be my fifth year riding in the Ride to Conquer Cancer for the Princess Margaret Hospital and I was going to self-fund my efforts this year... that was until I saw something recently and felt it was important to share. Cancer is a funny thing — it does not care about gender, nationality, race, religion, occupation, social status, age, wealth, or anything else that we believe makes us special; for cancer, it’ll pick a fight with anyone. I thought it was important to share this and remind everyone that we are all in this fight together. Please forward this email and remind everyone we are all in this together. I promise to ride my heart out,"
It really was the statistic that cancer strikes every three minutes that was a shocking reminder this is not something to keep to myself — it needed to be shared. This also was a simple reminder that nothing ever changes when you keep it to yourself, and that it's important to add your voice to the conversation. I know you are bombarded with messages and requests constantly, and if you are able to donate to my ride it's greatly appreciated, and if not, that's ok too. What is important to remember is a voice is always needed to make things happen, and it is important to be part of the conversation — if only to really listen and say, "Not today". 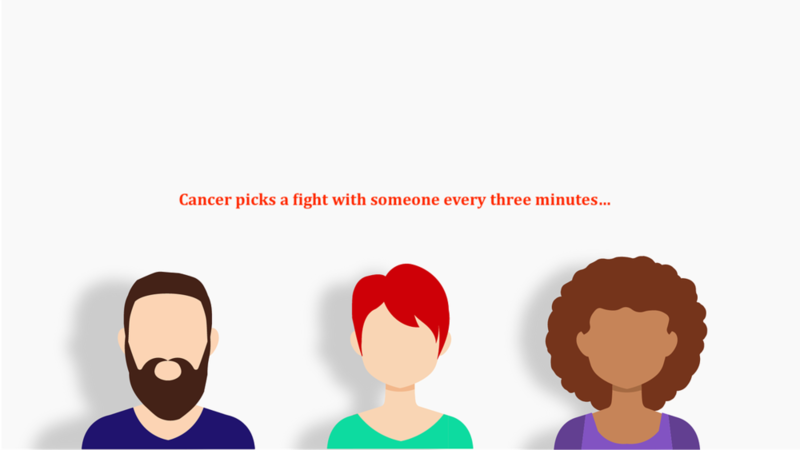 Without that voice, and that conversation, nothing will ever change... and as you know, cancer picks a fight with someone every three minutes.